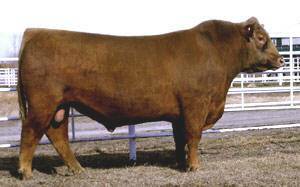 Expectation is a great looking bull with exceptional curve-bender genetics. He's in the top 10% for YW, top 1% Milk, top 1% Marb & top 9% REA! OSF.